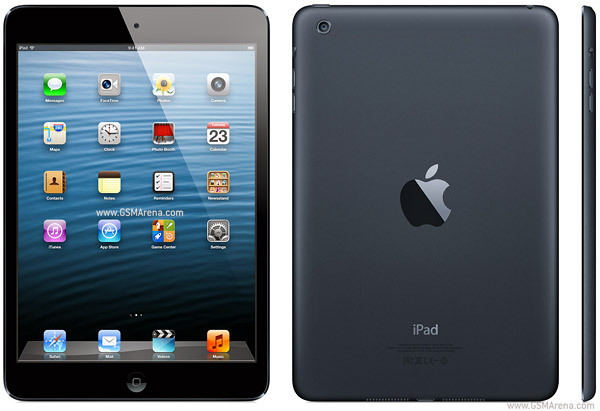 Since November 2012 when it was launched and until these days, the iPad Mini kept on gathering positive reviews and comments from its users. This is what brought it 4.5 stars out of 5, together with the fact that it comes with a strong dual-core processor and runs on iOS version 6.0. In case you purchased this tablet and have begun dealing with certain software issues, this article might be of great use in helping you hard reset the Apple iPad Mini. The reset procedure is a quick and efficient one that leads your tablet to using the original OS and settings. This being said, in case you’ve installed other versions of iOS, they will be lost. The same will happen with all data stored on the RAM, but you can always back it up before you get started. The good part about the operation is that it can easily remove all viruses, programs and apps that are damaging the system and causing it to lag, fail and show errors. 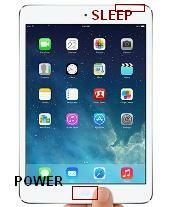 The iPad Mini Wi-Fi and 3G models come with a LED-backlit IPS LCD touchscreen measuring 7.9 inches. The latter is protected by an oleophobic coating. In terms of platform used by the tablet, you probably know that it comes with an Apple A5 chipset, 1 GHz processor, and its OS can be upgraded to version 7.1.1 which can also be upgraded to v8.1.3. Regarding its storage capacity, you can opt for a version that includes 16GB or go for either one of the 32 or 64GB options. These ones will cost a little more, but they definitely are a good investment since the tablet comes with no card slot. The primary camera can be found on the upper back side of the device and is a 5MP one while you can also use the frontal 1.2MP camera with face detection for FaceTime via Wi-Fi. Whenever the Apple iPad is blocked, got stuck on a certain screen or while running an app, we recommend either restarting or resetting the device. The procedure you’re going to choose mainly depends on how unresponsive the tablet is to your commands. Press the Sleep/Wake key, and then hold. Wait for the slider to pop up and drag it to switch off. Take a 1 minute break and press the same button again. Hold it until the Apple logo comes up, and then release. Press and hold the Home and Sleep/Wake keys. Wait for 10 seconds and release when the logo appears. The device will begin rebooting and take up to 5 minutes. For a more aggressive method, you can restore the Apple iPad Mini Wi-Fi and 3G models to their original operating system, as well as their settings by using iTunes. This is a master reset procedure that will erase all files. Connect the iPad to your computer and open iTunes. Go to File and select Devices. Open the Backup section and start syncing. Plug the USB in and connect the tablet to the computer. Open iTunes and select your device within the program. Go to the Summary Panel, and then click on Restore iPad. Read the warning and press Restore once more.